Pro Landscaping is the premier selection for Newmarket landscaping services. Our wide range of services, our commitment to client satisfaction, and excellence is design is what sets us apart from other landscapers in Newmarket. 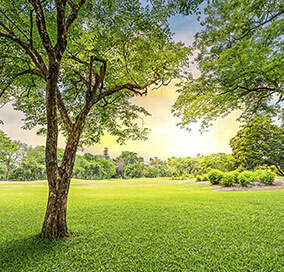 When it comes to landscaping, Newmarket homeowners know that it takes more than trimming the grass to create an eye-catching outdoor space. Pro Landscaping knows the value of excellent curb appeal, and that’s why we work to create a fully custom outdoor oasis for our clients. Our team of dedicated project consultants are highly skilled in garden design, hardscaping, tree planting, and more. They will work with you every step of the way to make your unique vision for your exterior come to life. Whether you have this vision already in place, or you’d like our team to lead the way, we’re here to help. Our Landscape Photo Gallery can provide inspiration for any style, and our team is always ready to provide their expertise. We specialize in creating stunning outdoor spaces for residential and commercial properties alike, and we place client satisfaction above all else. For superior custom landscapes, there’s no better choice than Pro Landscaping.